Posted on April 18, 2018 at 2:26 pm. (Rocky Mount, NC) – April 18, 2018 – The Triangle district council of the Urban Land Institute will make a special, members-only visit to the historic mixed-use community of Rocky Mount Mills on Wednesday, April 25. 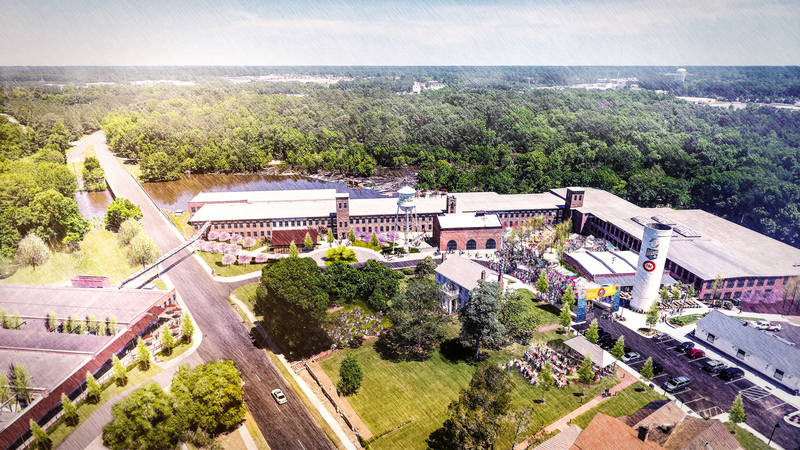 More than 50 ULI Triangle members will tour the historic mill buildings (now being renovated for offices, restaurants, breweries, retail destinations and lofts), acreage on the Tar River and homes at the Mill Village community. “We’re excited to host ULI and to engage its passionate, knowledgeable members in a discussion of what we’re doing here to create what we think will be the premier mixed use destination in Eastern NC and perhaps a model for the potential of such projects in cities similar to Rocky Mount,” says RMM Development Director Matt Honeycutt. The ULI tour and panel discussion — part of a series of special happenings as RMM marks its 200th anniversary — are not open to the general public, but interested members of the press should get in touch with Richard Cox, ULI Triangle Senior Associate ([email protected]). ULI Triangle serves eastern half North Carolina, including the Research Triangle area of Raleigh, Durham, Cary and Chapel Hill. The District Council hosts educational programs throughout the year, focusing on North Carolina as well as national issues and trends in the use of land and its relationship to community development. ULI Triangle has approximately 620 members in the region. For more information, please visit: triangle.uli.org. Urban Land Institute (ULI) is a 501(c)(3) nonprofit research and education organization supported by its members. Founded in 1936, the Institute now has more than 40,000 members worldwide, representing the entire spectrum of land use and real estate development disciplines, working in private enterprise as well as public service. The mission of ULI is to provide leadership in the responsible use of land and in creating and sustaining thriving communities worldwide.